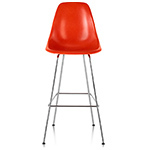 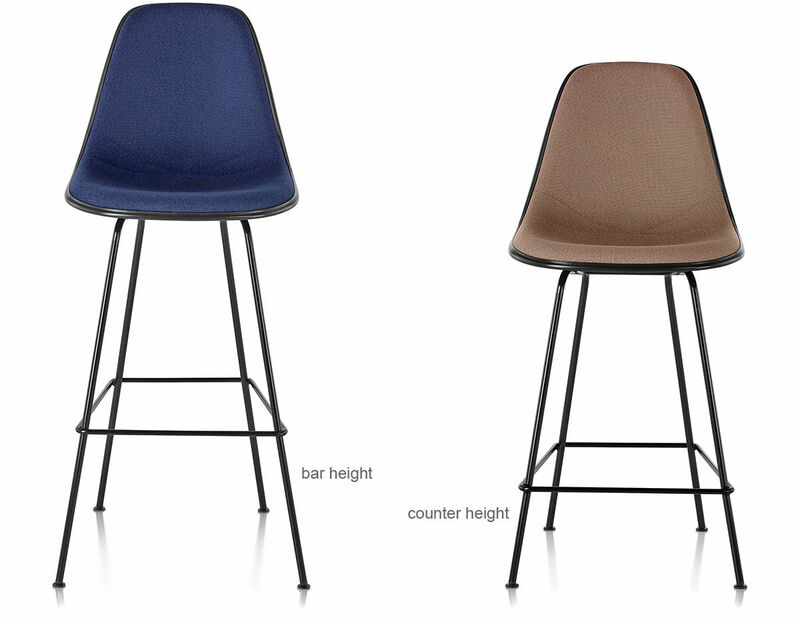 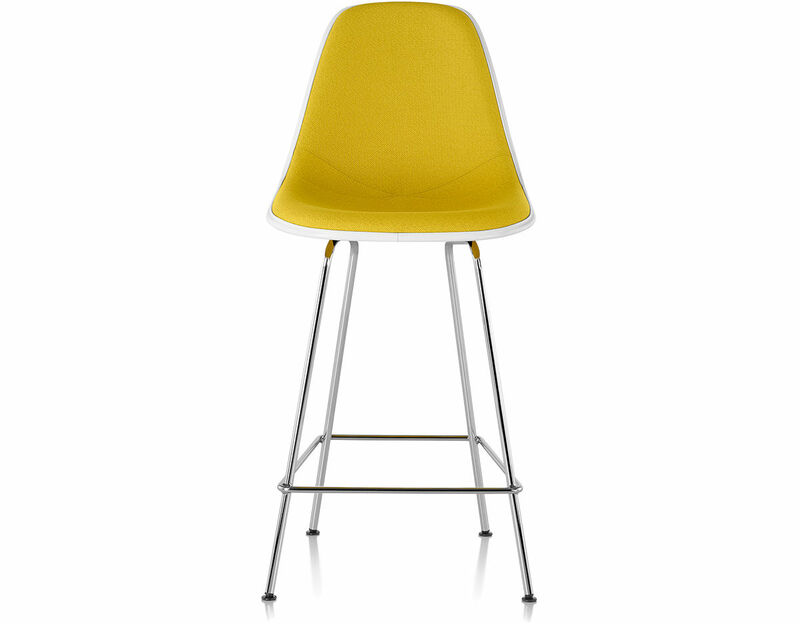 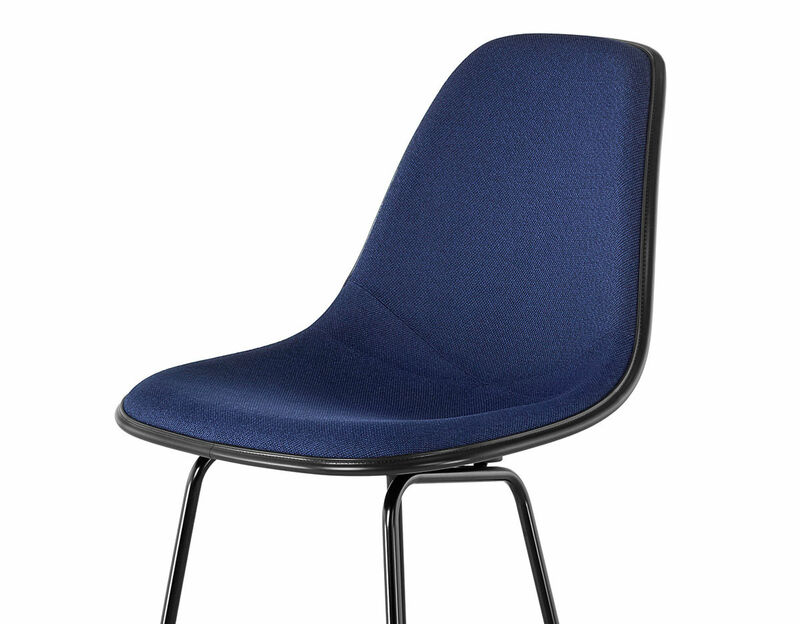 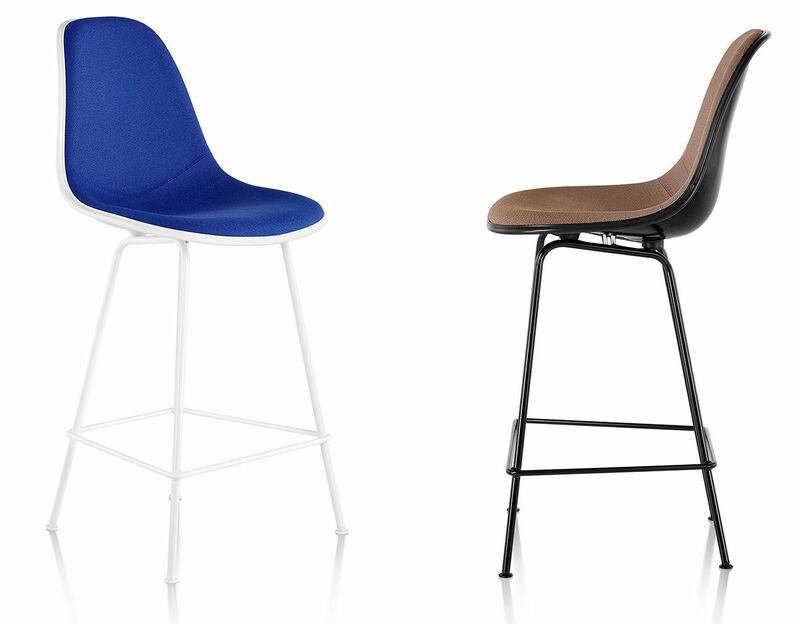 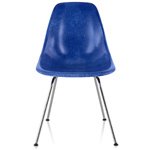 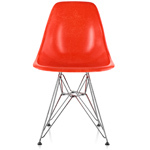 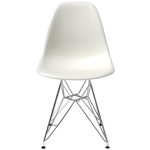 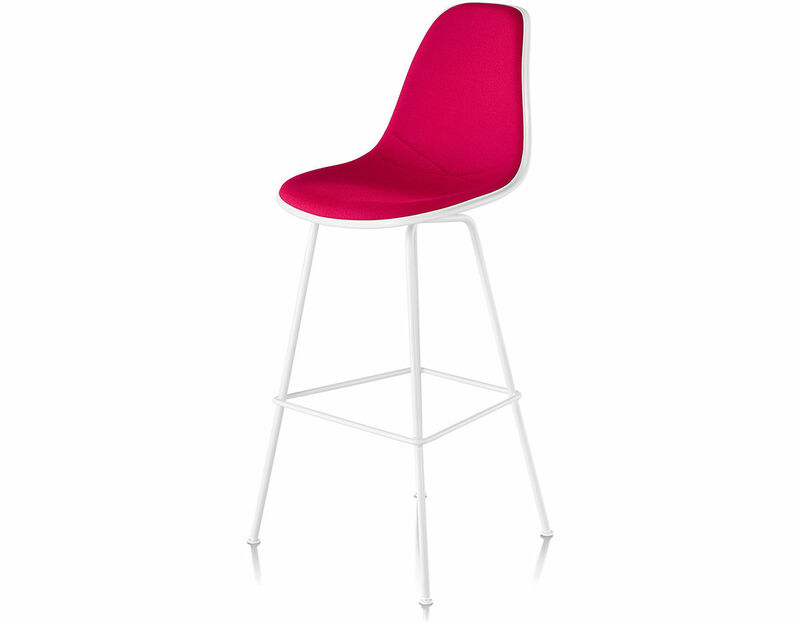 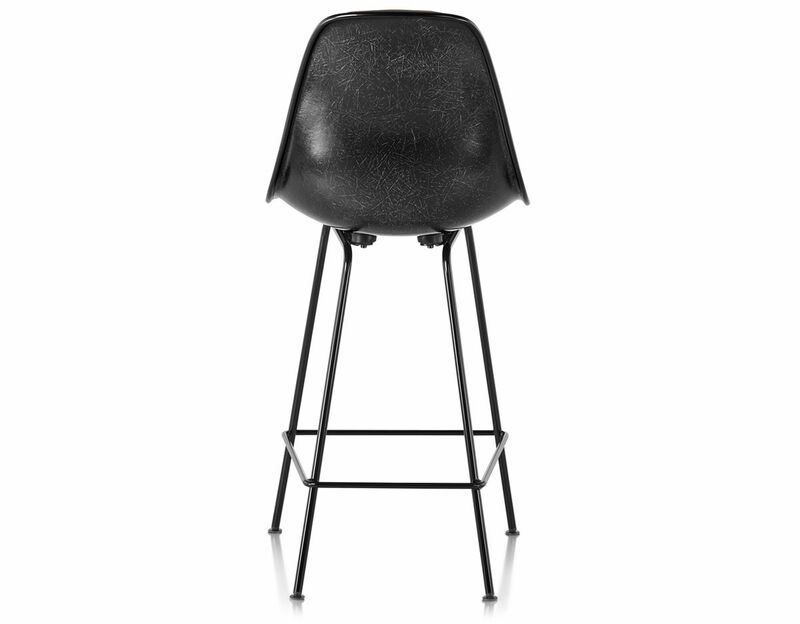 The Eames molded stool in fiberglass or plastic can be configured with an upholstered shell. An array of trim, base colors and finely tailored Hopsak fabrics designed by Alexander Girard, Herman Miller's Textile Director from 1952 to 1973, round out the collection of stool customization options. 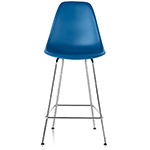 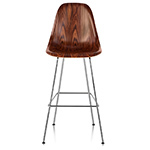 With the molded plastic, fiberglass, and wood stools the Eames' have created a universal response to what everyone wants from a stool: a simple, gracious form that fits any body and every place. 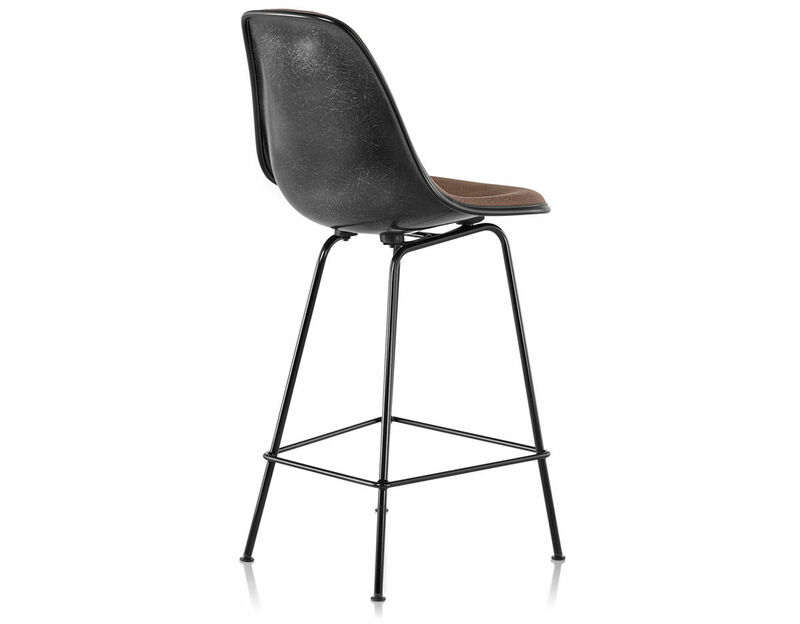 $690.00 + free threshold delivery in the continental US.